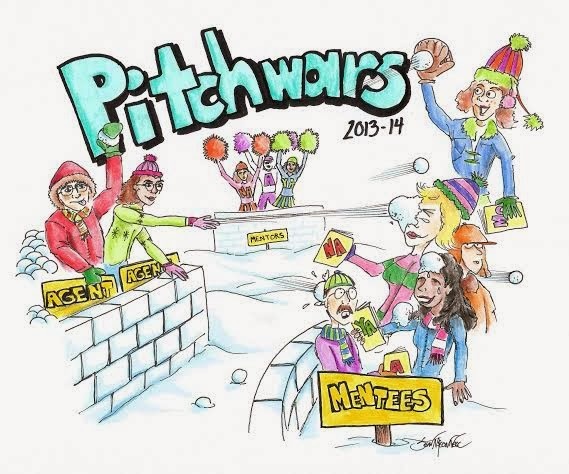 Have we dotted our t's, crossed our i's and hit send on our final mentor pitches? Are you wondering what to do with yourself between now and the big announcement on December 11th other than gnawing your fingernails down to the beds? Well, you can use your time creating your own Pitch Wars bio, of course. But some of you have been tweeting links to Mentee Bios posted on your blog and they are TOO FULL OF WIN not to share in an organized way for those of us who may be just a smiiiiidge OCD. So here's your chance. 3. It would also be nice if you would comment on people's posts, cheer each other on, and keep the energy jumping and positive while we slush our way through your lovely words over the next week. Support your fellow writers by following each other's blogs and connecting on twitter! Thanks. 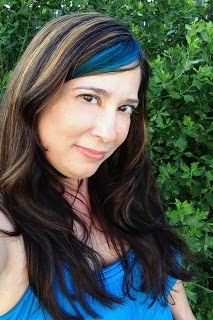 Looking forward to visiting other writer blogs! I was just thinking this should be done! Thanks for putting it together. Love this idea. 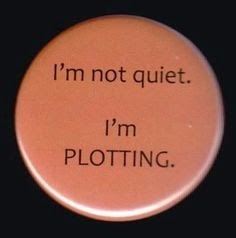 One stop stalking! Thanks, Dannie! Awesome idea, thank you so much! This is so much fun! Thanks Dannie! You're awesome to think of this!!! Super fun!! Thanks for this great idea Dannie!! Doesn't get better than that! Thanks for the innovative way to keep our collective fingernails intact! I added my Pinterest board I made about me and linked back. Thanks for giving us the chance to bio like the mentors! LOVE THIS. so very kind of you to do this! yay! Thank you so much for setting this up! Now we can all panic together...even more! Brilliant! But did we expect anything less? Oooh, this is a cool idea!!! Talk about fun! ...I guess that means I hurry up and do some semblance of a bio. I no one minds that my blog is via Tumblr. Fun! Thank you for hosting! This is so great! Thanks for putting this together! I think that's a bio..And hey, Merci! C'est magnifique! Fun! Thanks for hosting the common collecting ground, Dannie. Good luck, everyone! Thanks for putting this together! It's so cool to see who everyone is! This is such a fun idea! I love getting to read about the other writers entering Pitch Wars. This will make it much easier to look at everyone the other mentee bios - something I'm looking forward to when I have more time and sleep. What a fun idea. Got mine posted now. Thanks. That was harder than I expected! Such a cool idea though! This is such a great idea!! Thanks for this! Okay dokay- this was a blast! Thank you so much, Mentors for making this possible! Now, I am off to sacrifice a chicken. Those voodoo luck charms aren't going to enchant themselves, kiddos! Any ideas how we're all going to white knuckle it to the 11th? Anyone? Bueller? I just left my name: thanks guys!!!! You pimps aren't mean at all, but are, like, the best pimps ever! Thank you for allowing me to celebrate #GivingTuesday with shameless self-promotion. Just submitted. Very cool idea. This is an awesome idea. Thanks for putting the list links together!! Having a great time reading everyone's bio. Thanks, Dannie! Wonderful idea! Thanks for thinking of it, and thanks to Erika Gardner for pointing me in your direction! Thanks for hosting! We should have brought wine and cheese. Hmmm... A bit organized, are you? ;-) Thanks for thinking of it! Sending chocolatey vibes your way. YAY! Now I can stalk...I mean follow...I mean canoodle, yes I like canoodle...with Pitch Mentees. Great idea! I'm borrowing to pimp y'all on the blog tomorrow. Good luck everyone. Together we are strong? FOREVER FIGHT AS ONE! Great idea! Submitted my name/bio. Thank you!! Yay for networking :D Looking forward to reading these! Totally awesome of you to have done this! If such a thing is even possible, I think I'm MORE nervous about my bio sucking than I was about my query and first five pages! OK, added my link. Fun idea! In order to properly pimp, I must direct you to my other blog, here: http://oceanandislands.blogspot.com/ Enjoy! What a fun way to get to know everybody!!! Whoo! Thanks for doing this, Dannie. ^_^ It's nifty getting to know everyone. Really proves we're not alone in the world. I've been wanting to start a blog for a while, this gave me the incentive! Thanks! So glad I found this! I have ninety nine blogs to check out! *Wink* Thanks Dannie! Thanks for the impressive list! Wow--so awesome! Thank you so much!! Great Idea! 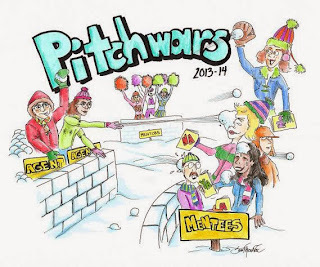 Thanks for doing this, and best of luck to everyone in Pitch Wars!!! This is fun, Dannie! Thanks! Thanks for putting this together! Such a cool list.